Beer. Wine. Long Island Ice Tea. Gin and Tonic. There is a ridiculous number combination of alcoholic beverages that are out there. I'm not really sure what exactly that sparked my curiosity when it came to looking up drinks the other day, but I was filled with this urge to find out what Nerdy drinks I could find. I know drinks can't really be Nerdy Per Se, but you know what their names can be super nerdy and really that is enough for this girl. I started thinking, Well geeze, there is no way I will be able to properly share all the amazingness that I am learning about these drinks in one single post. I decided that I'm going to break up all the drinks into several posts. The drinks will be broken up into their shows! This week since we are getting so close to the release of our awesome wizarding collection I thought we would start with some Harry Potter inspired alcoholic beverages. I found several articles that list several drinks that all look amazing. If you want to find out more you really should check out the below articles, but for my nerdy self and personal tastes I picked out some of the drinks that I am going to definitely try. This drink looks rather interesting and to be honest I'm not quite sure about it. However; with that being said I would not turn it down to try it. What can I say It has a Harry Potter name attached to it so I will give it a go. This is just three drinks, but I can tell you something. I'm really thirsty now, and I would love to have one of these right about now. 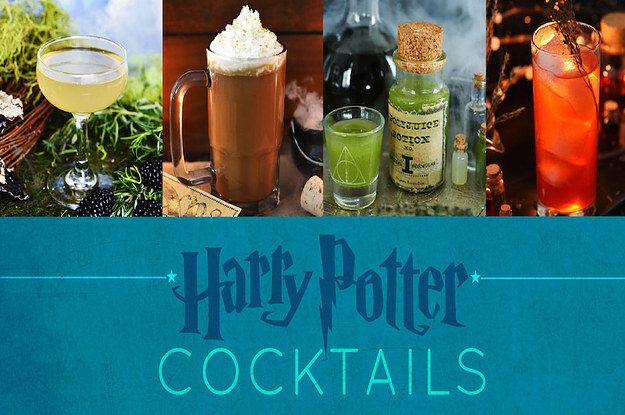 Do you know of a Harry Potter themed drink that is a favorite of yours or you really just think we should know about it? Let me know. We need to know! Girl, you have sold me completely on this blog of yours! I love the glasses logo and the word “nerdy” eveverywhere. I too embrace my nerdy badass self so kudos to you,my nerdy sister!!! Oh, and I LOVE a good drink as well. Follow my Pinterest board, Drink and Be Merry. Visiting from the Mom to Mompreneur FB group.